Overall, at 3.5 out of 5 stars, Nucific Bio X4 is a slightly above average probiotic. I really like the weight loss aspect of this probiotic supplement. By combining Lactobacillus rhamnosus (a probiotic noted for its weight loss effects in women), green tea extract and digestive enzymes, this product has the ability to help curb cravings and potentially lead to weight loss. I personally did not see any weight reduction while taking this probiotic but I did feel less hungry, which could lead to weight loss over a longer period of time. I like the digestive enzymes in this probiotic because that helps break down food into nutrients such as fats, sugars, and carbohydrates. This may help with digestion and potentially weight management. I do like that this product contains green tea extract because it has been researched to show potential weight loss effects and the caffeine may help inhibit food cravings. I also like that you don’t have to refrigerate this product, just keep it in a cool, dry place. This makes it much more stable and convenient. I also think Bio X4 has a good strain and cell count, especially for a daily probiotic. There are some areas that I don’t like with Bio X4. 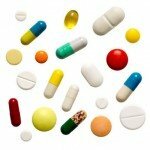 You have to take quite a few capsules per day. The directions say to take 1 – 2 capsules with each meal, but not to exceed 6 capsules per day. I like it better when you only have to take 1 capsule per day. This product also gave me side effects – a racing heart and a headache. I wasn’t happy to have side effects and please be careful if you are sensitive to caffeine. Also, be sure not to take these capsules right before bed because the green tea extract may hinder your sleep patters. Bio X4 is also very expensive. For almost $50 this product only lasts between 15 – 30 days. The cells are only guaranteed at the time of manufacture. I like it better when it’s guaranteed through the expiration date. Overall, I do think Bio X4 is an above average probiotic because of the weight loss aspect, digestive enzymes, and green tea extract but it’s very expensive, requires many capsules per day and may lead to negative side effects. 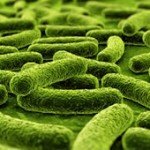 Nucific Bio X4 has 4 billion cells in 5 different probiotic strains. Of note, I like the use of Lactobacillus acidophilus in the probiotic line up. 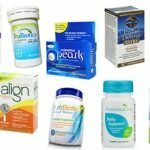 This is a tried and true probiotic strain that has been researched quite extensively. Lactobacillus acidophilus has been shown to help lessen the symptoms with Irritable Bowel Syndrome (IBS) and ease constipation, gas and bloating. L. acidophilus has also been researched as a treatment for vaginal infections, potentially lowering high cholesterol, and helping reduce the severity of asthma. I also particularly like the probiotic strain Lactobacillus rhamnosus. Lactobacillus rhamnosus has been researched in a weight loss study where women who took the supplement lost more weight and had fewer food cravings than the control group. The study also showed that the women continued to lose more weight 12 weeks after the study ended. Bio X4 also contains digestive enzymes including: amylase, bromelain, and lipase. I like the addition of these enzymes because they help break down food and absorb the nutrients. Lipase helps break down fat and amylase helps break down sugar, starches, and carbohydrates. Bromelain is found naturally in raw plants. I like the use of green tea extract because it may help aid weight loss while on a reduced-calorie diet plan (although this did contribute to some of the side effects I experienced). Bio X4 is very allergy friendly. The capsules are gluten free and lactose free. They don’t add in unnecessary fillers, which is a perk. These capsules do contain caffeine in the form of green tea extract (100mg). The other ingredients include: vegetable cellulose, microcrystalline cellulose, stearic acid, and silica. For 90 capsules, Nucific Bio X4 costs $49.00. This works out to be $1.63 – $3.26 per day to take these. A bottle will last you between 15 – 30 days. 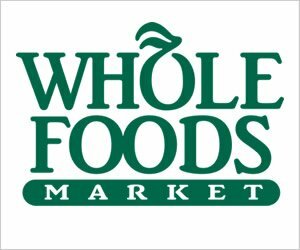 The weight loss aspect of the product makes it on the pricier end but it does seem to be a slightly above average product, making it worth the money. Thankfully, they do offer a 90-day money back guarantee but the supplement is still pricey. I did get side effects while taking Nucific Bio X4. My stomach was okay (it’s on the gentler side of probiotics), however the green tea extract gave me side effects. When I took 2 capsules per meal, I had a racing heart and chest pain. It also gave me a headache. If you’re sensitive to caffeine, please be careful with this supplement. Also, be sure to take the capsules while eating a meal (it should help with the side effects). Taking 1 capsule per meal seemed to cause fewer side effects, so I would recommend starting off with 1 and eventually working up to 2 capsules per meal. Nucific Bio X4 offers an awesome satisfaction guarantee. You have 90 days to try the product and if you aren’t 100% satisfied, you can get a full refund. I love companies that give this type of guarantee. Since this product is almost $50, it’s nice to know you can get your money back if it doesn’t work for you. 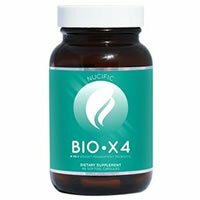 To buy Nucific Bio X4, click here. Allergy Concerns No allergy concerns but does contain caffeine in the form of green tea. Side Effects I did get side effects from the green tea extract – racing heart and headache.